Engaged employees work with passion and feel a profound connection to their company. They drive innovation and move the organization forward. Only 30% of the American workforce is classified as engaged. Not engaged employees are essentially "checked out." They sleepwalk through their workday. They put the time in, but not energy or passion. Actively disengaged employees are more than unhappy at work. They make their unhappiness known, too. Every day, these workers undermine what their engaged co-workers accomplish. About 17% of the American workforce is considered actively disengaged. According to a study done by USC, millennials are the least engaged segment of the workforce. Millennials also make up the largest portion of the modern workforce. If the pattern of disengagement continues, it is possible that bottom line losses could increase. 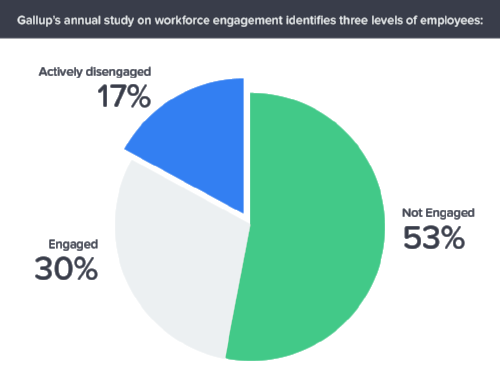 It’s likely you have a combination of engaged, not engaged, and actively disengaged employees in your workforce. How are they impacting your bottom line? Have you heard the age-old adage “bad news travels fast”? Actively disengaged employees are quick to share their negativity with engaged employees. By allowing disengaged employees to continue working for you, you risk losing your top performers. This negativity can also spread outside of your organization affecting your reputation and recruiting efforts. Within your organization, 84% of employees would consider leaving their current jobs if offered another role with a company that had an excellent reputation. Disengaged employees are estimated to cost the U.S. between $450 billion to $550 billion, according to a Gallup poll. On the flipside of the coin, companies with engaged employees outperform their competition by 147% in earnings. Are employers taking a stand? Unfortunately, the shocking figures haven’t made employers flinch. Gallup measures the percentage "engaged" among the U.S. working population has remained about the same since Gallup began measuring it in 2000. 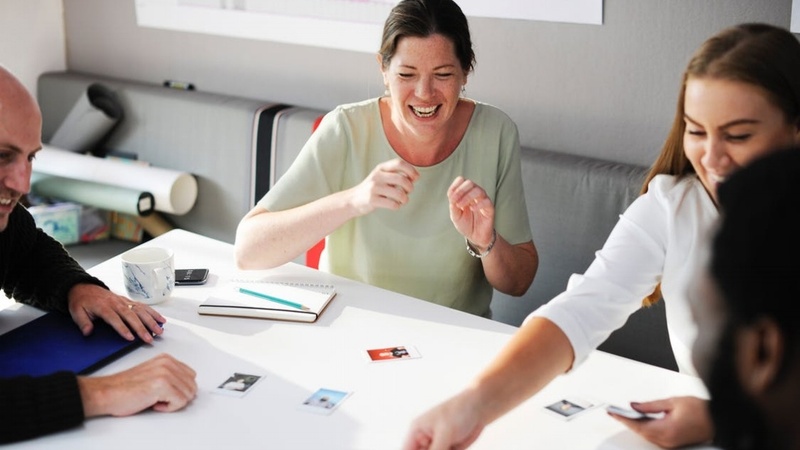 Employee engagement is easy to write off because it seems difficult to improve, or costly to implement programs meant to target improved engagement. Kronos estimates that 16% of HR leaders think a lack of budget is the primary obstacle to improving employee retention or engagement in the next 12 months. Ignoring employee engagement is short-sided, and potentially detrimental. Engaged employees are more likely to share your vision and passion for your company and culture than a disengaged employee. In order to cultivate the feeling of togetherness, it’s important for a company to reciprocate. Show your employees you are just as invested in them as they are to you. DailyPay does just that - it reciprocates. 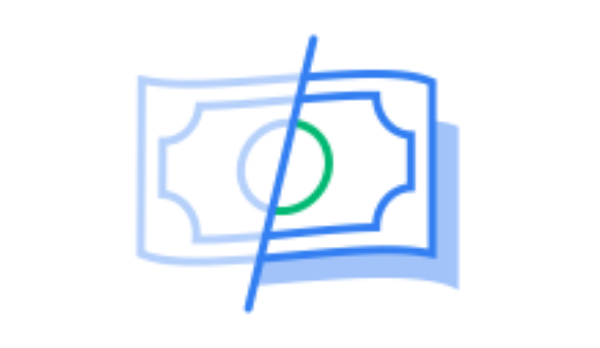 DailyPay has a proprietary technology that allows an employee to transfer earned but unpaid wages before payday, decreasing the wait time for receiving wages by more than 90%—or 12 days, on average. The solution translates to instant financial security for the employee, decreasing turnover and promoting improved engagement at the workplace. We’ve worked with many organizations who agree. For instance: RLS Logistics. RLS Logistics needed to focus on retaining talent and decreasing recurring absenteeism. The combination of high seasonal turnover and low employee engagement impacts RLS Logistics’ competitiveness and demand to meet performance targets. RLS estimates they paid up to 25% of the yearly salary to replace a single worker and onboard a new one. RLS introduced DailyPay as a way to show gratitude for their employee’s hard work each day. The perk decreased turnover and promoted engagement at the workplace. The program caught fire, and within months more than 38% of RLS employees signed up for DailyPay. RLS recognized a problem with employee engagement and the lost production and attrition that inevitably followed. They also took a stand to change the outcome. DailyPay is a free app for businesses and easily integrates with payroll systems that provide direct deposit. Find out how DailyPay can help your business, today. What Are The Best Benefits to Offer Your Employees?